In an effort to eat healthier this year (wedding coming up), I’ve started cooking more. Adding my own twist to different recipes. One of my main concerns is flavor. It has to taste good above all. 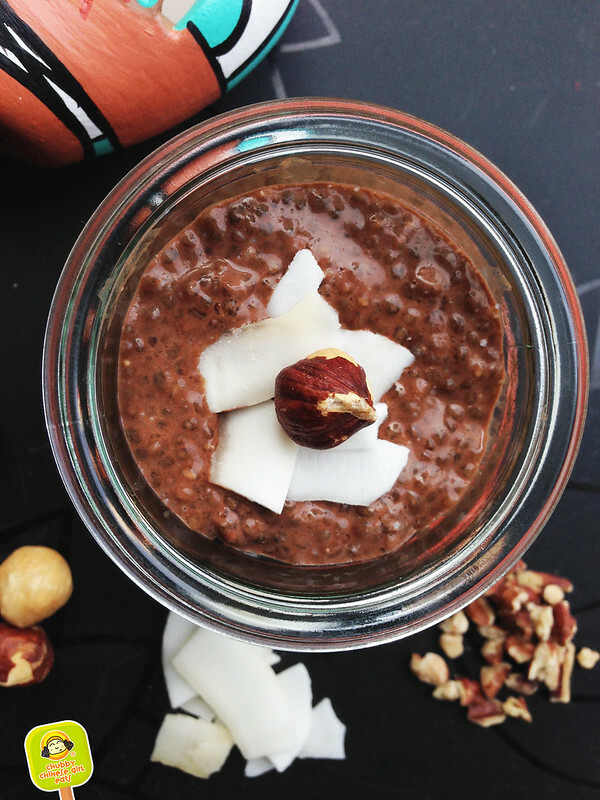 The Dark Chocolate Coconut Chia Pudding is the ultimate guilt-free dessert. The list of benefits from this little seed is long but “fight belly fat” caught my eye. 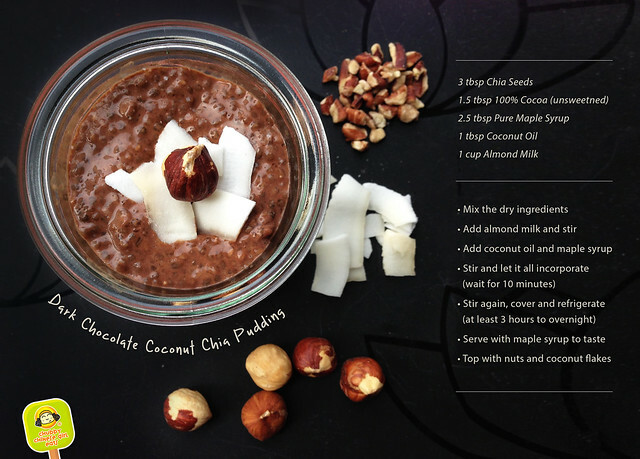 Indulge in a chocolate treat while possibly getting a flat belly? My kind of delicious “exercise”. Aside from the power seed, I made sure the rest of the ingredients packed healthy benefits as well. Using 100% unsweetned cocoa and swapping sugar for pure maple syrup. Trying to avoid sugar altogether at home. Less on labels is definitely more. 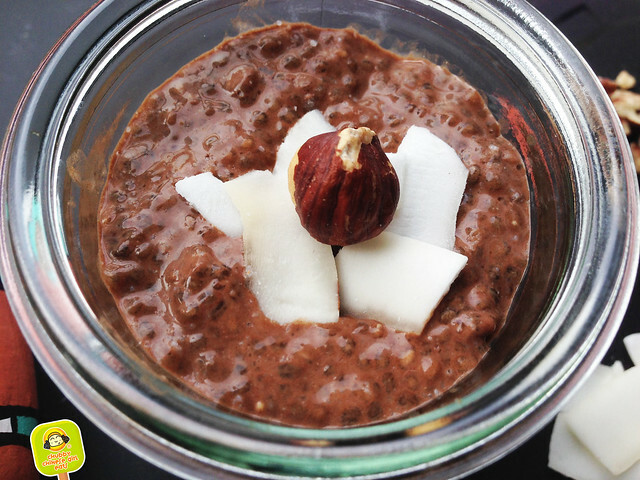 By adding coconut oil, the chia pudding gets a smooth silky texture, a lovely “I’m on vacation” flavor and a pretty sheen. Taste is important but we also eat with our eyes first. 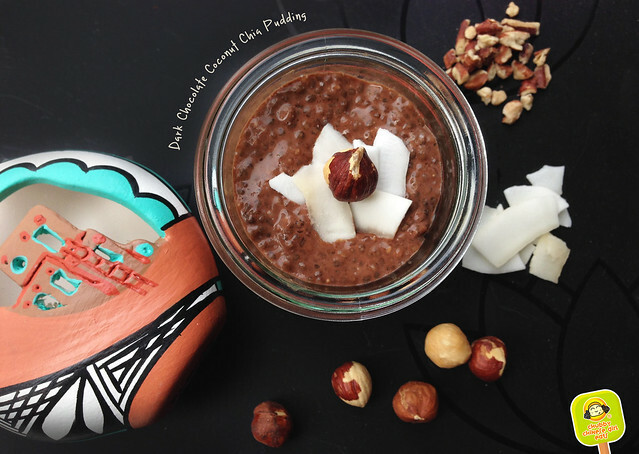 If you aren’t into coconut all together, the recipe works just fine without it. I mix and stir everything directly in the jar. No clean up. Super simple, ready to serve. 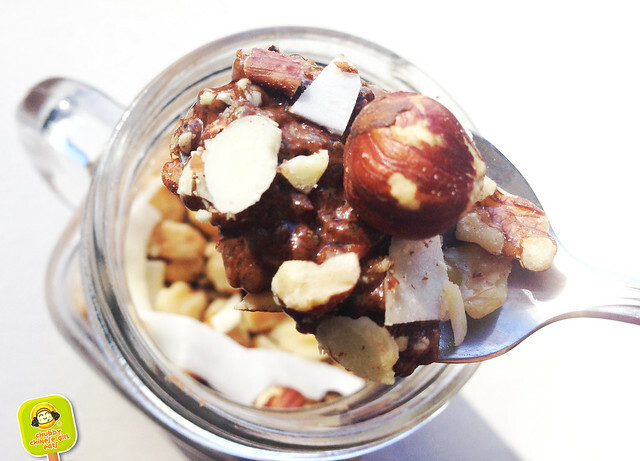 Sliced almonds, hazelnuts, pecans and roasted coconut flakes or chips. With a light drizzle of maple syrup. Because the chia seeds have that pop and “seed” texture, I didn’t like adding berries with seeds – like raspberries and strawberries. The pudding tastes great even without any topping. I adore my mason jars/cups and dessert sure looks cute in them. Hope you will try this easy to make chocolate delight. I’m devouring my last batch as I’m typing. *licking spoon*.